I’ll just start by saying that a portion of hash browns, as they are now commonly made or bought, on a Full English Breakfast isn’t really my top preference in the morning. On a huge evening fryup I feel that they have some merit, but I also feel that there are more and better options for presenting the humble fried spud and that we might actually have been doing it all wrong for a long time. In the UK, sadly the most popular choice is frozen blocks of processed potato deep fried. Cheap, nasty and absorb almost their own weight in the fat they’re fried in. Some caffs don’t change their fat very often and fry lots of different things in the same fryer. Just ponder on that one for a moment. The other option is to make your own, there are lots of variants but probably the most popular is a Swiss rosti-style affair using shredded raw potato with the moisture squozen out and sometimes customised with exotic flavours then fried in a pattie shape like a burger. What if we’ve been doing it wrong? What if Hash Browns weren’t an American import, what if the origin of proper bona fide bull-goose Hash Browns went back centuries and were almost the opposite of sh!t frozen hash or solid rosti wannabees. Please take a minute to look at this brilliant article by the Old Foodie, I agree with almost everything the author says here. I’ve almost always conformed to the idea that a hash has to be a regular solid shape, usually a patty. It seems now that cooked loose is the proper way. I have hardly ever used raw spuds in my home-made Hash Browns. Potatoes are blanched or boiled, sometimes leftover surplus spuds or roasties from the previous night, which is bang on with the traditional recipes. The Old Foodie’s article has got me wanting to try a few of the recipes on there and bend them a little maybe. Of course if you fully subscribe to the idea that proper Hash Browns are actually a loose fried up collection of potato-rich leftovers then in theory, (dons tinfoil hat) Hash Browns are actually merely an inferior version of the mighty Bubble & Squeak. Now I’m not saying that loose cooked fried spuds are better because they are ‘traditional’, positive change should be encouraged, we can’t live in the past forever but the past often has a few secrets which we can learn from and I think this is one of them. Hash Browns as described in the article are better because they are better. Ironically though, all of the top 3 Hash Browns I have experienced in a loose rather than solid style had North American origins. Moose Cafe in Liverpool city centre, a Canadian stylee place that didn’t do a fryup but did a mean mustardy soft and crispy concoction, a mad Bostonian relative who used to live off them but had straightforward diced and seasoned par-cooked spuds, fried on a cast iron skillet with onions down to a tee. The best though were when I was but a young Dr Fryling and drove out to Snoqualmie in Washington State to hang around all the Twin Peaks Locations. Yes, I was that sad. As well as having damn fine cherry pie and coffee in the diner that was used by David Lynch in the series (as it turns out just from the outside, the inside was built in a studio to mimic Mar-T’s) I had some breakfast and with it the most marvelous delicious soft spuds hard fried in bacon grease, and described as “home-fries”. So there it is, out in the open, you’ve been doing it completely wrong for ages. I for one welcome our new soft spud loose-fried overlords and will most likely be banging them on my next fry to try them out. …or indeed any other international/domestic airport. When flying, it is not uncommon to find yourself trapped airside at an airport, bored and hungry, only to be tempted into treating yourself to a fryup. An ongoing study by Dr Fry has revealed that the fried food provided to captive audiences in airports is almost always substandard and more than often quite poor value. We looked briefly at fryups offered on aeroplanes in a previous post however the main focus of this study is what is being offered on the ground. NB none of this selection included a beverage in the price, prices for foreign fryups are as reported at the time of the fry and quoted at the correct exchange-rate in force then. Beijing – £10.00. This desperate interpretation of a fryup beggars belief. Birmingham – £8.95. Horrible lake of beans being poorly contained by ingredients warmed up on a griddle. Very poor form. Bristol – £11.00. Not too badly cooked (except for the raw tomato) and presented reasonably well, an awful lot of watery beans. Capetown – £3.00. All things considered not bad value and a reasonable bash at a fryup but still rather an unappetising start to a trip. Dublin – £9.00. Shoddy and expensive, no luck of the Irish here. Edinburgh – £9.60. A stab at a Full Scottish but very poorly executed. 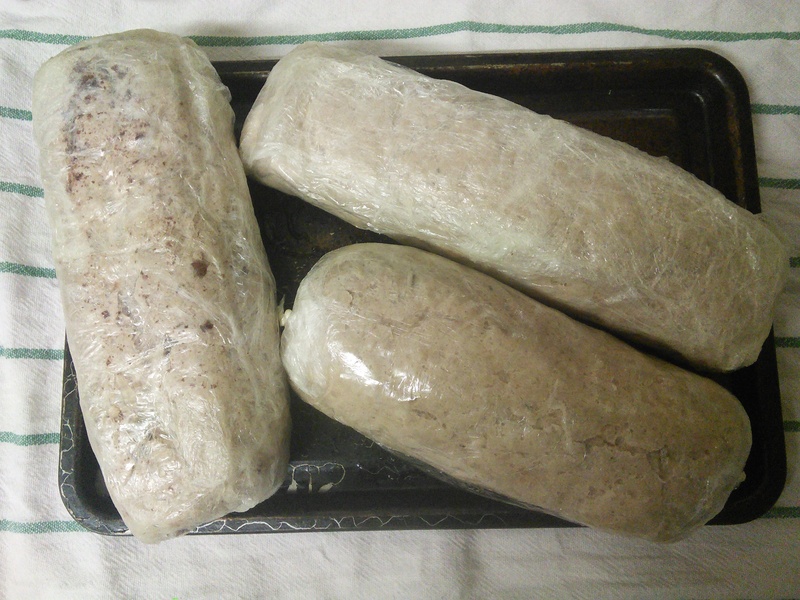 the Haggis looks vile. Gatwick South Terminal – £9.95 PLUS £2.35 for toast. This is truly lamentable, not even the lurid green light this was served under can mask the baked bacon and terrible value. Glasgow – £8.50. They took the Low Road. Not very appetising. Heathrow – £9.95. From the same stable as the previous Glasgow abomination but more expensive. Johannesburg – £1.37. Unbelievably low-priced, unbelievably horrible. Keflavic (Iceland) £11.36. Bork from the land of Björk. Knock – £8.00. A bit petite and a bit rubbish really. Leeds/Bradford – £11.50. Outrageous price for inedible tat. London City – £14.95. This is really quite offensive, even the square ramekin looks ashamed to be sharing a plate with barely cooked flotsam. Luton – £7.95. Not even slightly substantial but comparatively less expensive. Manchester – £8.95. A greaseless desolate nightmare. Melbourne – £12.00. the eggs don’t look to bad but I can’t help but wonder about the provenance of the sausage-shaped thing. Stanstead £12.95. throwing chives at a fryup does not enhance it one bit, even a first-year student Veterinary Surgeon could make that bacon oink again. This not very scientific ongoing study has revealed that you should expect to pay about £4-£5 more per fryup in an airport compared to a cafe, that the majority of the components are not cooked from fresh and more often than not are poorly presented/made with low-quality ingredients. You should also factor in the much higher cost of beverages and the nonsense prices you will be expected to pay for additional items such as toast or condiments. It is clear that travellers are being taken advantage of by the airport catering industry and until standards and value are dramatically improved, Dr Fry recommends that you either have a nice big fryup before you leave home or try to find a reputable establishment en-route. If you would like to contribute your airport fryups to this study then please fee free to post them up (with a price please) on the Facebook page for Doctor Fry. Please also take a few moments to have a look at this delightfully scathing review of a fryup on a plane from industry expert and mystery-shopper extraordinaire, The Fry Up Inspector. 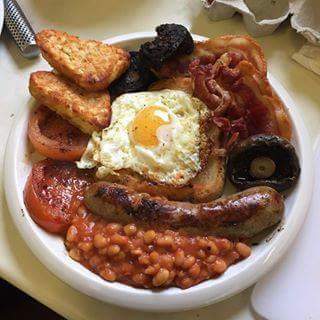 Thanks goes to the Fry Up Police for access to their picture archives for the above images as well as heartfelt gratitude and sympathy to all the fryup enthusiasts who contributed to this study. 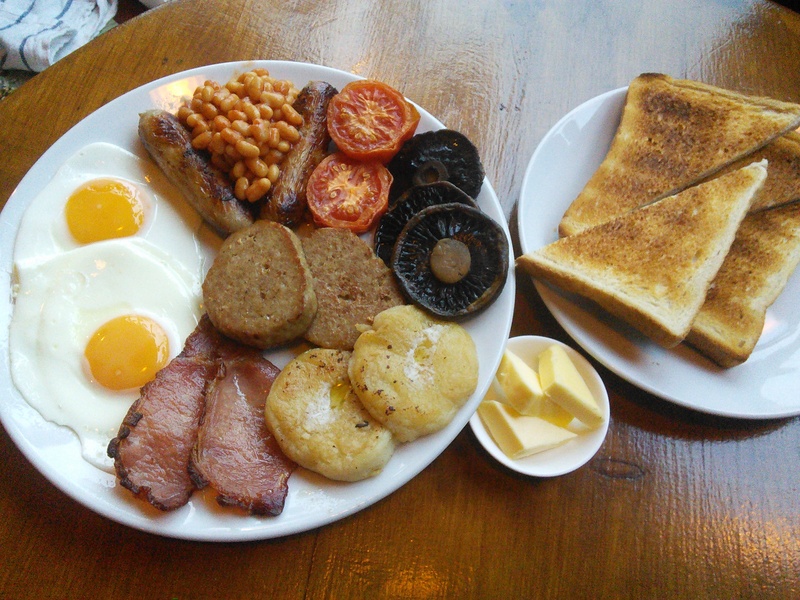 Dr S.Mugford, produced and maintains the Mighty Venn diagram for the Fry Up Police. 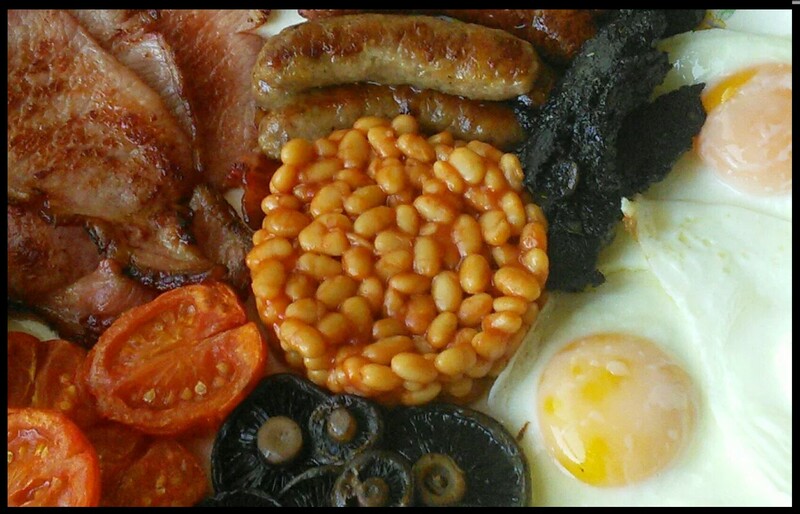 It is the definitive guide to what should or should not be included in a fryup and accurately reflects the wonderful regional diversity of the Great British Fryup. I was delighted to see that is has been updated recently making it more attractive and user-friendly, I believe this may be a prelude to it being produced on a commercial basis in some form or another. Excellent work Dr Mugford! Edit: It has been tweaked again by FUP Chief Bobby Lurky Avislav, looking eggcellent! Most fryup enthusiasts will at some point have had a takeaway fryup in a box from a cafe or even been tempted to try the aeronautical equivalent i.e. a boxed fryup on a plane. The expectation of having a self-contained portable greasy feast is almost never met though. Factors such as cheap ingredients, poor placement of items and bad cooking are often the culprits and the inevitable disappointing soggy mess is a huge let-down to fans of a good fryup. To try to understand the whole culture of boxed fryups better, we undertook a raft of important research which included seeing just how hard it is to successfully execute a decent fryup in a polystyrene container. First though it was necessary to find a baseline, which led us to look at some truly dreadful examples of culinary slop. If you have a weak constitution or have previously been traumatised by a boxed fryup then please continue to the next article. 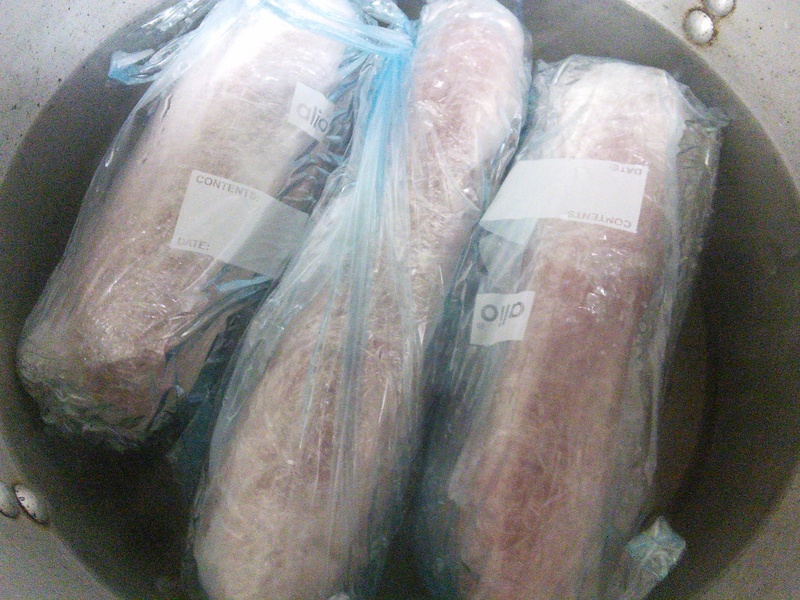 Whilst these abominations have all been served to jet aeroplane passengers…. So exactly how hard is it to improve on these appalling examples? Not very as it turns out. By using decent quality ingredients, cooking them properly, placing them in the box in sensible proportions with some consideration as to product cross-contamination we came up with this delicious and attractive boxed fryup, the toast and fried bread would obviously need to be packaged in a paper bag within the lid for effective transport however this looked so good it was smashed straight away by our research and development team. Cafes, hospital trusts and airline caterers please take note, you are failing your customers, it’s not that difficult to do, it just takes a little bit of care and attention. Images except the final one are courtesy of Fry Up Police constables and Chris Wilko on Instagram to whom we all owe a debt of gratitude for their sacrifices in helping with this important and valuable research. 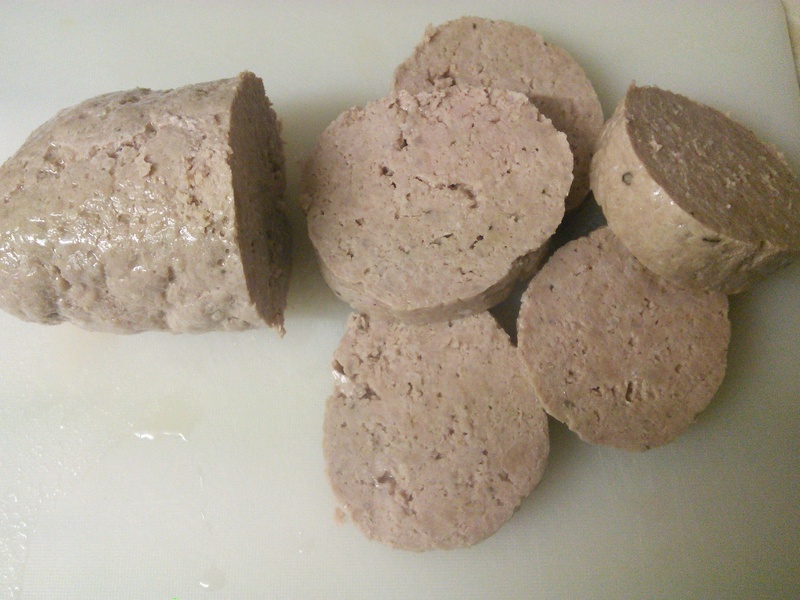 Many people love a slice or two of white pudding on their fryup. There are lots of regional variations but traditional Cornish Hogs Pudding is Dr Fry’s absolute favourite. If you are lucky enough to live in the South West of England, many supermarkets stock this product and lots of butchers make and sell it. 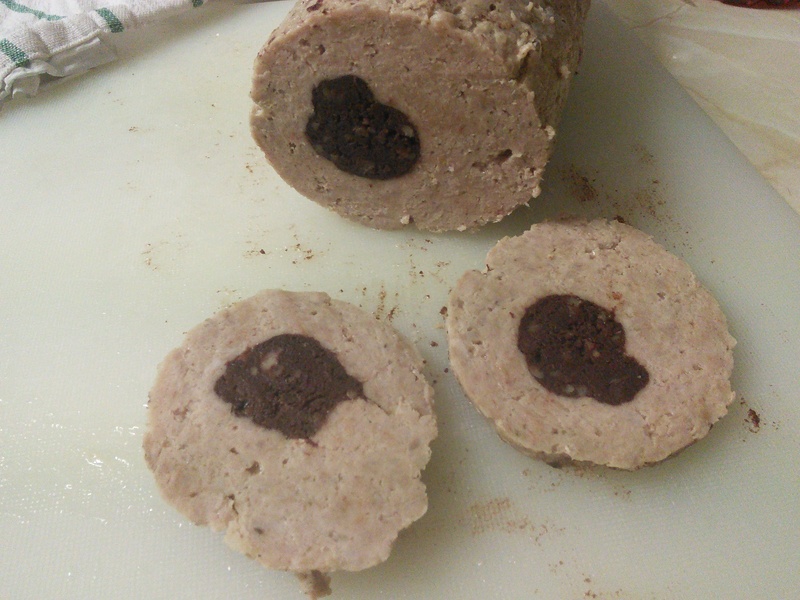 In the absence of retailers local to Fry Villas who stock such a delicacy, Dr Fry has worked tirelessly for many minutes researching different recipes and preparation methods and we have arrived at a quite an authentic and traditional Hogs Pudding which is relatively easy to make and store for future fryups. The mix is prepared as described however ensure you use a fatty pork mince or minced cuts of pork, fresh breadcrumbs (toasted or stale ciabatta makes a fantastic breadcrumb), or for a finer pudding, ground up cream crackers. 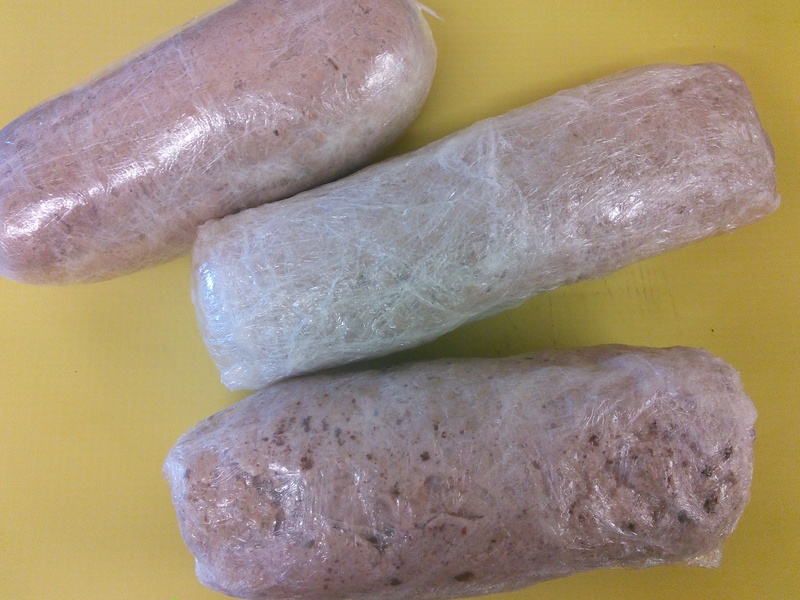 We make quite stout sausage-shapes then wrap them snugly in several layers of clingfilm then poach gently in water for 30-40 minutes. You may also enjoy the idea of stuffing the Hogs, here is one stuffed with bury black pudding although there are many other delicious possibilities. A chef recently tasted one of Dr Fry’s fine Hogs Pudding and told him it reminded him of the very best Iberian Wild Boar sausage! If you have fifteen minutes to spare, Dr Fry recommends a look at this marvellous piece of work by the talented Rufus and his sometimes drunken giant friend Lewis, who source and cook all the ingredients for a lovely fryup, YouTube video here. They are extremely passionate about their work and you may hear a number of strong expletives. Here is the glorious result of their endeavours. Chapeau! Baked beans are widely regarded as one of the essential components of a traditional fryup. In the UK market baked beans are usually haricot beans stewed in a sugary seasoned tomato sauce and canned to preserve. There are many different brands available so which one is the best? Cheap beans tend to contain more water and sugar than their premium counterparts and with few exceptions should be avoided. The big players in the premium market are Heinz and Branston with large supermarket non-‘value’ own brands also in the running. Heinz enjoys brand leadership, not necessarily because they are the tastiest, more so due to consumer deference, generational brand loyalty and snobbery/embourgeoisement. In 2010, the ‘Which’ consumer organisation nailed manufacturer’s balls to the floor with their excellent research, blind testing 12 varieties of beans on 120 members of the public of all ages and backgrounds. the full report can be accessed here. Headline results were that in quite a close race, Branston came out top with Asda and Morrisons apparently filling the podium whilst the mighty Heinz took an unexpectedly lowly 4th place. Dr Fry had a peek behind the headlines and discovered that Aldi’s ‘Corale’ baked beans actually finished joint 2nd, but their results were removed due to a ‘formulation change’ by Aldi shortly after the research was conducted. In the opinion of Dr Fry, the latest iteration of Aldi’s Corale are up there with Branston and represent excellent value. Baked beans enjoy some health benefits providing a good kick of fibre and protein and are currently on the 5-A Day list of fruit and veg for an 80g portion, despite an average can using up a whopping sixth of your RDA for sugar and salt. Cook beans gently on the hob without boiling them. Reducing them slightly intensifies the flavour of the sauce and reduces the portion’s viscosity which negates any necessity for a ‘bean barrier’. Consider the balance of the fryup when selecting a portion size and arrange them in a ‘smaeshthetically’ pleasing way without swamping any other ingredients. Some fryup fans baulk at the prospect of beans touching eggs, they are usually the same wombles who construct barriers out of sauages. Dr Fry welcomes YOUR view on beans in the comments section of this article.